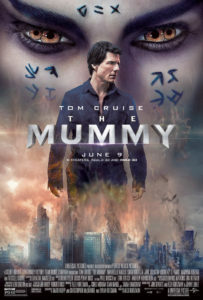 I didn’t catch Tom Cruise’s The Mummy in theaters, so I watched it on DVD when it came out last week. It wasn’t as awful as I was expecting, though it doesn’t hold a candle to the Brendan Fraser films (the first two, anyway). In this new film, Cruise Missile does battle against a rag-wrapped Egyptian hottie made immortal by the power of Set, the god of death. In actual Egyptian mythology, Set is a god of disorder and violence rather than outright death, but the fact remains that he was a villain of the Egyptian supernatural world, and it’s no surprise that Hollywood came a-callin’ for an adventure film involving Egyptian mythology. Books, movies, film, and stories in general have always been the domain of “gods” (plural, lowercase g). Naturally, they make frequent appearances in comic books and superhero franchises (gods and demigods were the original superheroes, after all). Stories like those that involve Thor and Wonder Woman take substantial liberties with the original source material but the creators’ reverence of that source material is quite evident. 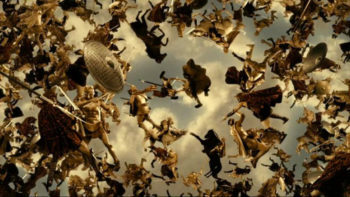 Greek and Roman gods get the most screen time but every culture has its mythical heroes and villains doing battle in exotic lands and using supernatural weaponry, usually for the love or control of us mortal weaklings. This tendency doesn’t occur as often in monotheistic religions like Christianity or Islam, since there isn’t much competition with an omnipotent, omnipresent Creator of the universe. Plus, it’s usually perceived as blasphemous to make God (or even his “prophet”) a character in our entertainment. But in the heavily populated mythical realms of ancient cultures such as Greece, Rome, and Egypt, there is quite a cast of characters to choose from and no one will get particularly upset if you tweak the narrative. As Christians, we believe in one God in three Persons, the unchanging and eternal God of the Old and New Testaments. He is all-knowing and all-powerful, and all things are created by Him. We know there are no other gods besides Him. Yet there is no denying that other so-called “gods” have acted with great and miraculous power in the cultures that worshiped them. Is the God of the Bible merely the “top god” and the other gods are lesser gods, but still gods nonetheless? Pretty straightforward. Yet consider the miraculous wonders performed in the names of these non-existent gods. One of the most shocking examples is in the book of Exodus where Pharaoh’s magicians are able to replicate the miraculous signs done by Aaron to demonstrate God’s power (though we all know who had the biggest snake in that contest). Did other “gods” gives these sorcerers their power? Deuteronomy 32:17 says that the wayward Israelites “sacrificed to demons who were not God.” The Bible never acknowledges the legitimate power of other gods, and dozens of passages reaffirm the declaration that there is only one God. That means that anything else pretending to be a god is either an impotent creation of human hands or is a demonic power. In my post about magic a few months ago, I laid out the argument that there is no such thing as “good magic” in real life, that all supernatural power comes either from God or Satan. The same goes for gods. While it’s easy for us to sit in our supposedly enlightened throne of rational, Western knowledge and wisdom, we must not forget that there are billions of people in the world who wholeheartedly believe in false gods. So the question is: do you find gods, whom we consider to have been fictional or demonic powers to be fit subject for literature? I think so, but not if they are portrayed as having any power over God, Christians, or Biblical truths. This would only apply to Christians, of course. But in terms of something like Thor vs. Loki, then no problem. Even if their namesake has been associated with demonic power, they’re just fictitious characters to those of us who know the truth. There is only the one God. There are rulers and powers and principalities but they are created by and ruled over by Jehovah. As far as we mortals are concerned, who or what they are is irrelevant because we are commanded to worship and glorify God alone. The romanticized Greco-Roman pantheon does not exist. The rules of Ps. 82 or the Nephilim of Genesis 6 are certainly awesome supernatural forces but they deserve no worship or reverence from us. There is one God and many powers and us mortals, but the distinction between God and those powers is as infinitely vast as the distinction between God and mortal man.